Calvary is blessed to support the work of Mike Fennema, Ramiro Carbajal and Gail Gorfe. 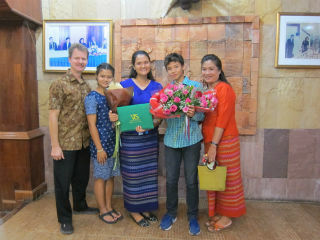 Mike Fennema works with World Renew as Laos’ Country Consultant. His work focuses on agriculture and development. Mike is married to Moe Moe and they have 3 children: Monica, Maria and Matthew. Ramiro Carbajal works through Harvest Honduras, a partner of the Carpenteros and Friends and World Renew. Harvest equips leaders and pastors to do wholistic ministry in poor communities. 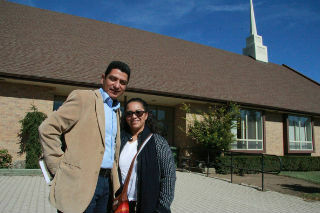 Ramiro is married to Waleska and they have 2 children: Sharon and Joshua. read Ramiro's most recent newsletter. Gail Gorfe works through Wycliffe Bible Translators as Projects Manager at Bingham Academy, an international Christian School in Addis Ababa, Ethiopia which provides education for the children of missionaries and others serving in Ethiopia. Gail is married to Yonas and they have four children -2 are still at home: Zoya and Zack. read Gail's most recent newsletter.